Russia will show the Shershen quad-rotor unmanned aerial vehicle (UAV), the Nerekhta reconnaissance robot and the Avtorobot robotic vehicle at the Army 2016 international military and technical forum, the Defense Ministry’s press office said. The Army 2016 international military and technical forum will be held in the Moscow Region on September 6-11, the press office added. "Promising Russian-made robotic systems will be demonstrated in operation at the tank-driving range of the Alabino practice range in the Moscow Region during the 2nd international military and technical forum Army 2016," the press office said. "In particular, Russia will show the promising Nerekhta reconnaissance robot, the Avtorobot robotic vehicle and the Shershen quad-rotor unmanned aerial vehicle," the press office added. According to the press office, the robotic systems are expected to breach minefields and show their capabilities on the present-day battlefield. The promising Kobra-1600 robot making part of a mobile mine-clearing system will be on display at the Army 2016 forum. 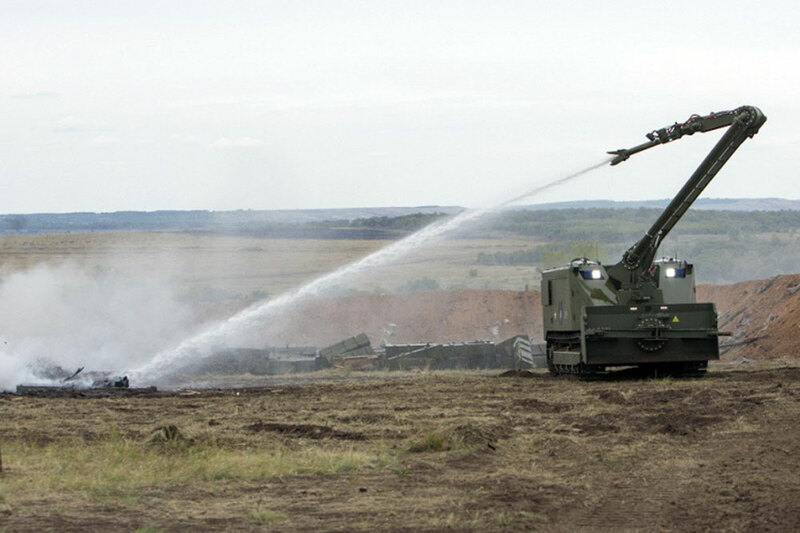 It was reported earlier that Russia would also show the Uran-6 mine-clearing and the Uran-14 fire-extinguishing robotic systems at the Army 2016 international military and technical forum.